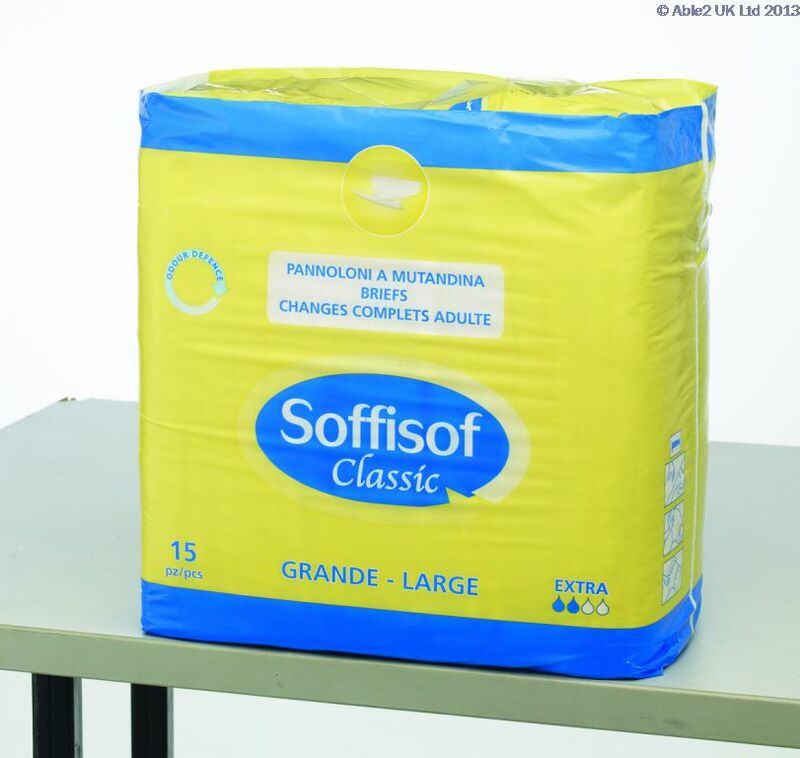 Soffisof briefs and all-in-ones come with a gathered waist and have a high absorbency rate which offers maximum comfort for the patient. The super absorbent polymer along with the inner cuffs and repositional tapes provide a maximum in protection against leakage. They are a perfect fit thanks to the specially shaped core and outline. These pads have been designed for someone who is mobile. 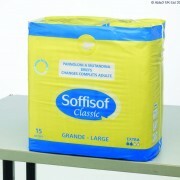 The Soffisof Classic Extra Medium all-in-one pad is made with super absorbent polymers to lock liquid into the pad and is gathered on the waist for comfort and fit. The all-in-one pad is made with a wetness indicator to help identify when the pad needs to be changed and anti-leakage barriers for added security. Measurement 70cm-110cm, 40-70kg. Absorbs 2118mls.